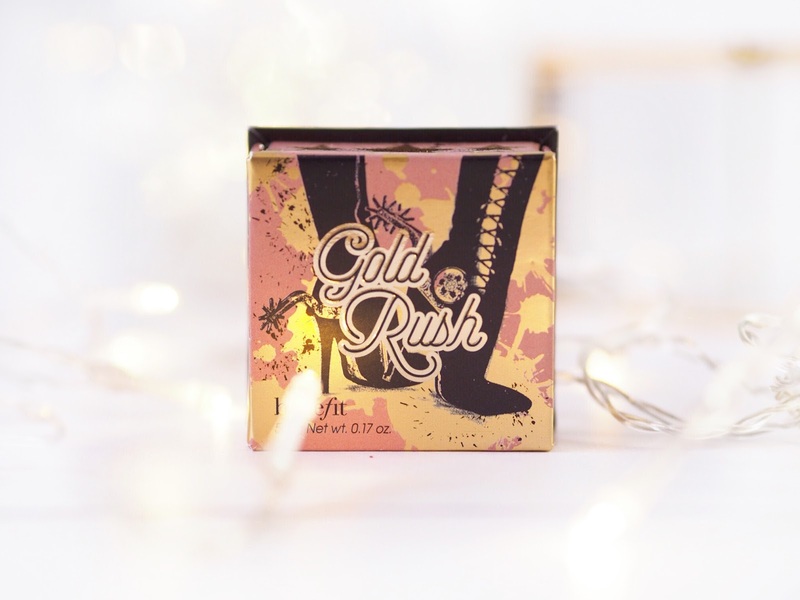 Benefit Gold Rush: World Exclusive at Cult Beauty! 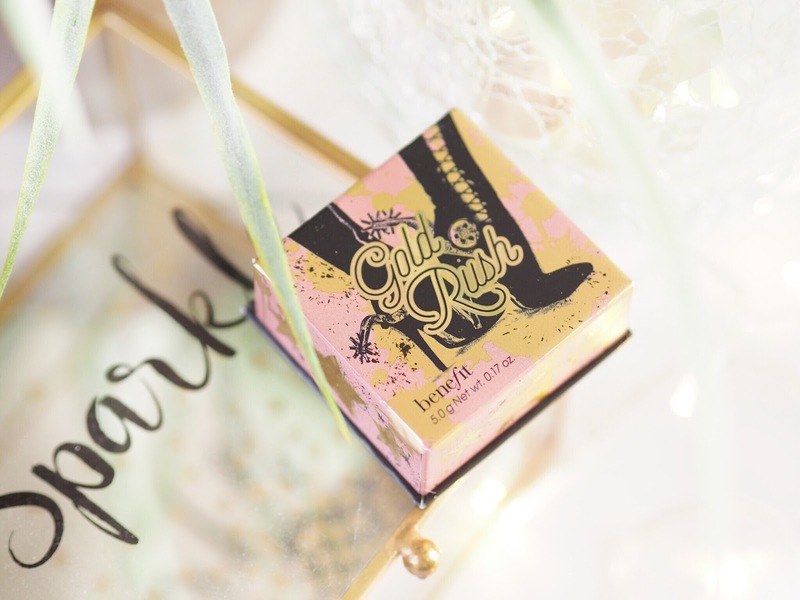 Introducing Benefit Gold Rush – a world exclusive to Cult Beauty, and the newest addition to Benefit’s collection of much loved powder products. 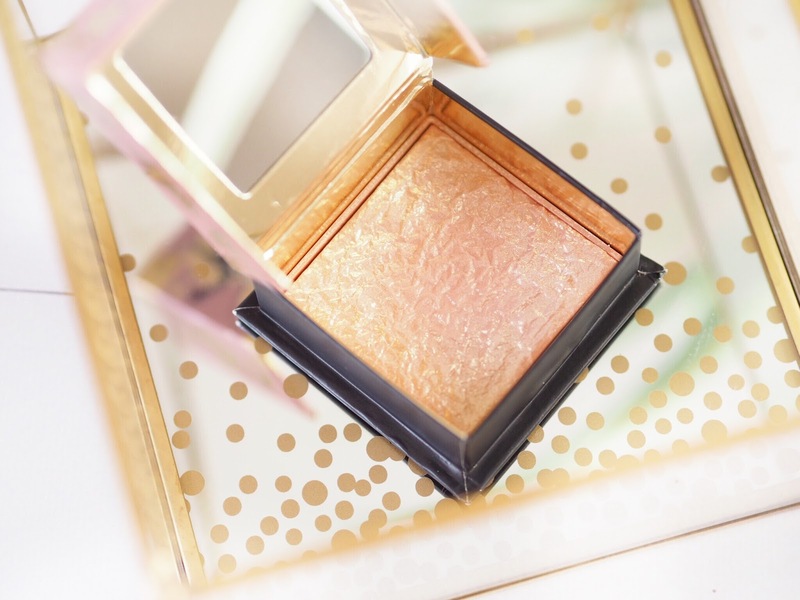 This cheek powder is going to make waves this summer because it’s gorgeous peach toned goldness is going to universally flatter any skin tone. Technically it’s a blusher, but it’s got such appeal as a highlight too, shimmering away like actual gold when you open it. Moving away from the pink tone in the previous powder, Galifornia, Gold Rush has more of a peach tone base which warms the gold and means we can all enjoy some warmth in our cheeks this spring and summer. Described as a ‘warm golden nectar blush’ I can see Gold Rush being great when you’ve got a tan and are on holiday, in fact I’m certain of it. But the lovely peach undertone means that it’s going to liven up pale skin even before the sunshine does. Which is a win/win all round – especially for pale people like me! Blended on with a round powder blush, the flakes of gold within the peach colouring (which is very noticeable in the middle of the pan) mean your cheeks look flushed and glowy without being highlighted to the max – if there’s one thing the Benefit powders do right, it’s subtle and buildable tones. 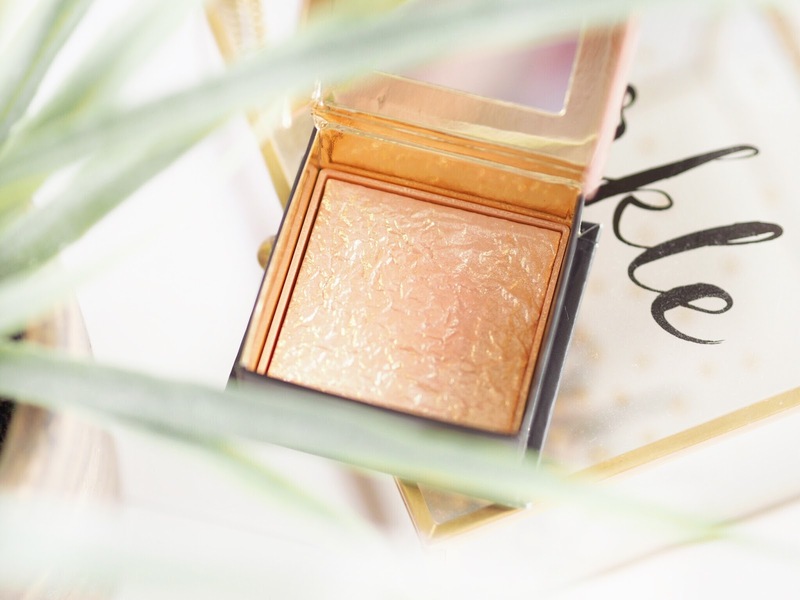 I can’t wait to dash this over my collarbones as well on a summer evening – it’s got that shimmery golden edge that means it’s going to accentuate all the right places. Plus it’s scented too and smells like a dream – with a hint of vanilla and sandalwood it’s sultry and summery all in one, so you’ll be as hooked on the smell as you are on the colour. 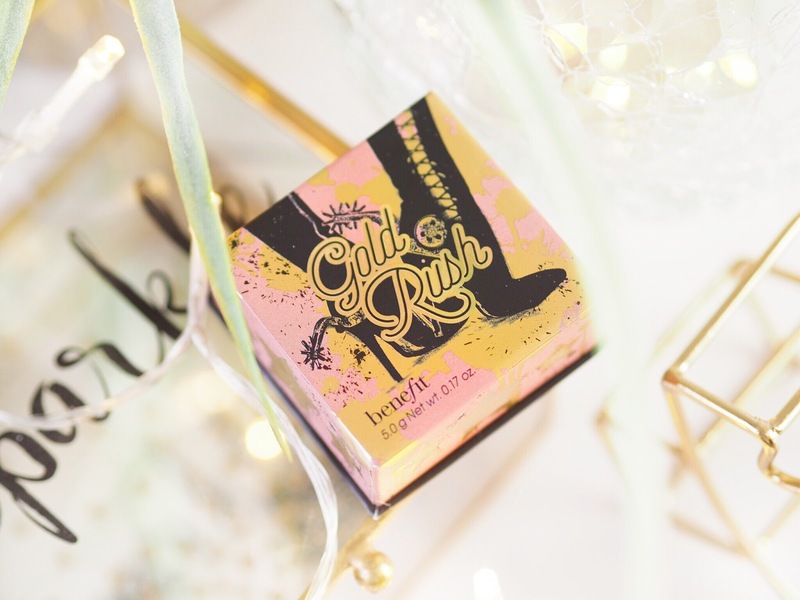 Excitingly, Gold Rush is ONLY available from Cult Beauty – you won’t find it anywhere else. At all! A world exclusive to one of my favourite beauty stockists, the powder is £25.50 and comes with the cute applicator brush. Swooning at the ready, grab yours quick HERE – it’s going to be something you want and need. Plus there’s free shipping on all orders over £15 so you wont even need to pay that!